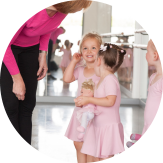 Learn to dance in a fun and friendly environment, gain from teachers who have a wealth of knowledge and experience in the dance world and make friends for life along the way. We are delighted to announce that Larissa King, a former student of the school, has been offered a contract to dance on the Costa Serena Cruise Ship in Shanghai. On 26th June 2016, Rebecca was successful and will now take part in the 2016/2017 Scholars Scheme. See what’s been happening at our dance school. 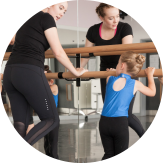 Take a look at our classes timetable here. 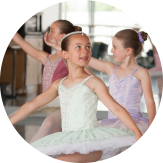 Find out more about our dance classes here. Dance started as a hobby and became my second family. Seventeen years that nurtured both my confidence, friendships and skills. I started with bendy knees and shoulders up in my ears and would like to think in the end I scrubbed up well. I enjoyed getting up on stage and strutting my stuff and now my daughter is enjoying the life of dance just as much as I did. Thank you Miss Berry and Miss Helen for many fond memories. I began ballet at the Mavis Berry and Helen Allen School of dance at the age of three and nineteen years later I am still a member of this amazing dance school. I absolutely loved performing in the shows and competing in the local dance festivals and I believe that Miss Berry and Miss Helen are to thank for me gaining confidence not only in my stage presence but in my life outside dancing too. Not only have I learnt skills for life, I have also made friends for life. I had the passion for dance at such a young age, with the help and the nurture of this fabulous dance school I was given a solid base of technique, strong stylistic background and lots of performing experience. Not only did I gain skills in dance but both teachers gave me a great grounding for life which I then used to pursue my career in dance. After gaining a place at Preston Dance College for 3 years I then began my professional career travelling worldwide with Princess Cruises as a dancer in the production team. I have had a wonderful career filled with so many different kinds of dance work and I am so appreciative of the teachers who enabled me to live my dream dancing around the world. I am so proud to be a teacher at the dance school now and I help to teach pupils alongside Miss Berry and Miss Helen and all the other lovely staff, it’s just like being part of a family. I started dancing at the Mavis Berry and Helen Allen school of Dance when I was 9 years old. I was really excited to start my first ballet lessons! I soon moved to attending Modern and Tap classes, and after a very successful show when I was 10, I had the dancing bug, I started to learn Classical Greek and was asked to do “Festivals” to represent the dance school. I especially used to love my song and dance routines, especially the Showgirl numbers that I had! (After watching me at Preston Festival, Miss Berry commented “We need to get Katie signed up for a cruise ship job!”) I knew that dance was what I wanted to do. Miss Berry and Miss Helen encouraged me continuously to achieve my goal in becoming a dancer. I went on to attend Preston College’s Professional Dance and Teachers course, where after 3 years of dancing and studying I passed all my teaching exams. I am currently working as a dancer on the Fred Olsen Cruise Ship, the Boudicca, partaking in nightly dance shows in some very creative numbers. Without the encouragement and excellent teaching skills of Miss Berry and Miss Helen, I certainly would not be on the career path that I am on now. I am hoping to continue my performing dance career for as long as possible and then become a teacher, where I hope I will inspire the next generation of dancers and performers! I joined the dance school at the tender age of three and danced there until I was twenty years of age. I spent many hours enjoying the camaraderie and being part of a school that gave me great skills and friends along the way. I was delighted to be able to send both my daughters to the school at an early age and they have loved every minute. The classes are both fun and rewarding but as a parent I believe dance teaches them discipline which is a great attribute to carry through in life. I danced here as a child and made some lovely memories that will last a lifetime. Now both my daughters age 3 & 9 dance here and it is our second home. Wonderful teachers who bring out the very best in their students. Thank you Miss Berry & Miss Helen, love Joanne, Alyssa & Aurora.